The long, sound and deep sleep is what we really lack in our hectic life full of worries, malnutrition, stress and too little physical activity. And this takes lots of subjective reasons and causes we cannot change. But we at LinenMe can try to make at least one small input to help you sleep sounder – we provide top quality pure linen bed linen that is healthy, allows one’s body to function properly, helps to relax, has micro massaging functions and lots of other benefits. And today we introduce two new collections of linen bedding. The first one consists of pillow cases, duvet covers, fitted and flat sheets of sumptuous and luxurious design and fabric. 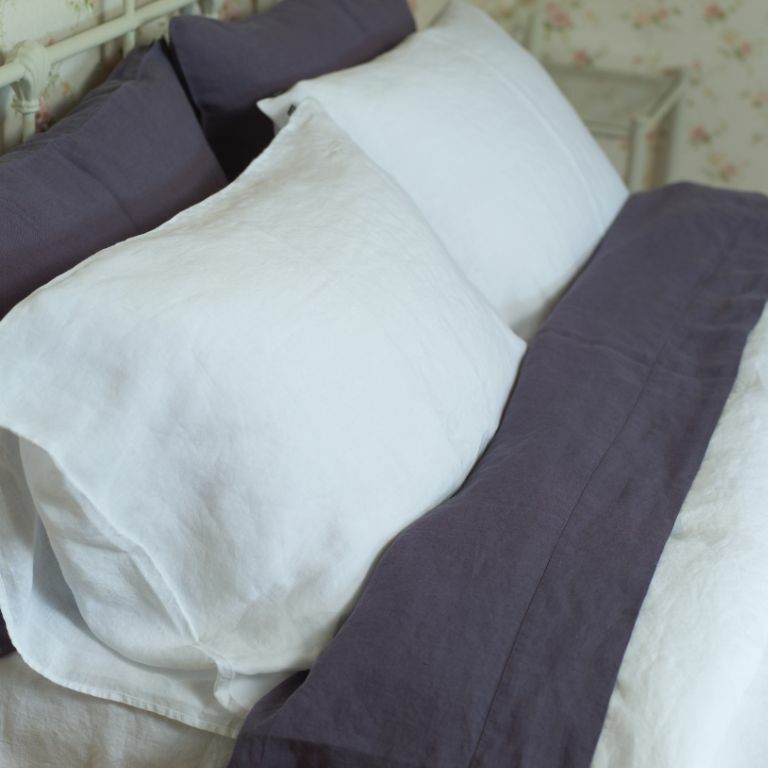 Made of prewashed very soft pure linen fabric these bed linen pieces have this sophisticated crumpled look that only top quality linen fabric can boast with. Simple design (plain colors, no added décor elements, openings at the bottom) allows the quality of the fabric to stand out and become the main feature of this collection. All this make this linen bed linen the right choice to experience true royal sleep. The main feature of the second collection is its modern pinstripe design where subtle latte or brown background is decorated with thin white stripes to create classy and relaxing appearance. 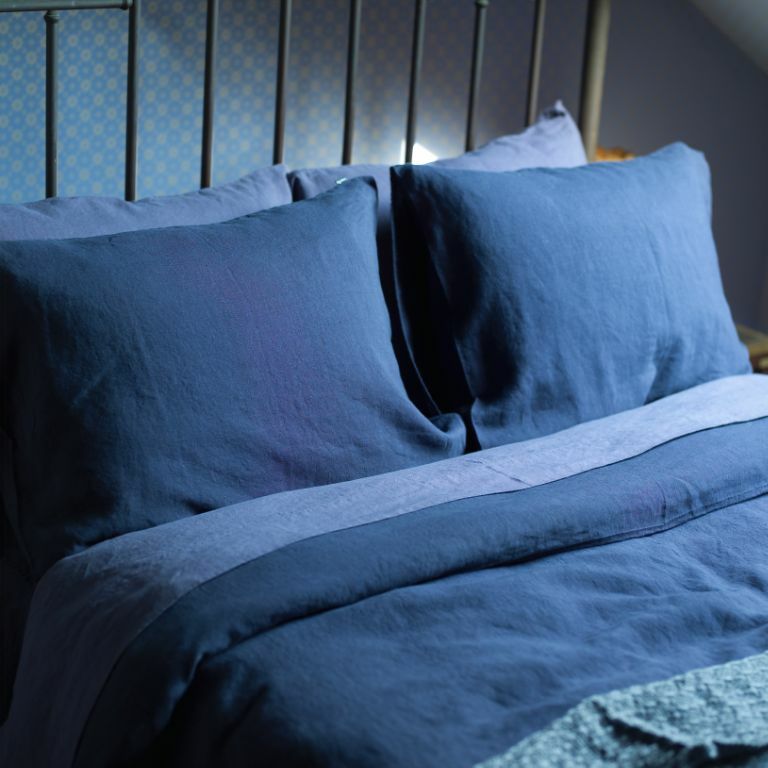 It consists of linen pillow cases, duvet covers, fitted and flat sheets which can be mixed and matched together. All of them made of quality linen and cotton mix to ensure easy care and softness. 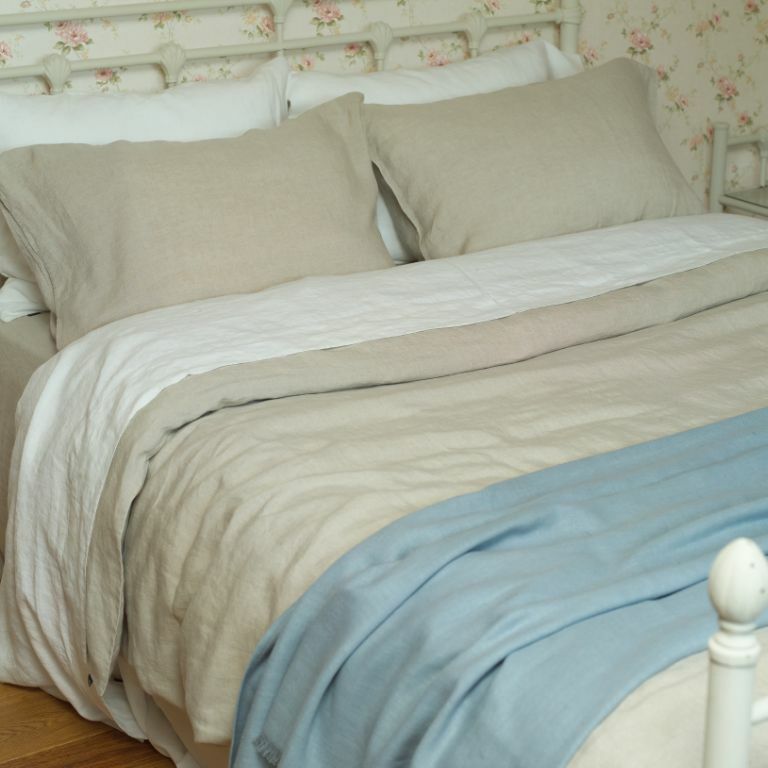 Check out all the product in our linen bed linen category! Wohoo I love the blue one most. I hope it is not too expensive, will take a look. If you still have it though, since the post is a bit older.